BLOGGER CONFESSION: After I finally got all my Christmas decorations taken down, packed up, and put away for the year, I had absolutely no desire to decorate for Valentine’s Day. NONE. I started seeing everyone’s adorable pink and red mantels and frilly, lacy pillows and romantic sayings plastered all over everything… I was just finally enjoying a clean, non-cluttered house and had no desire to re-decorate again only to be taken down in just a few weeks! Besides, red isn’t my color. 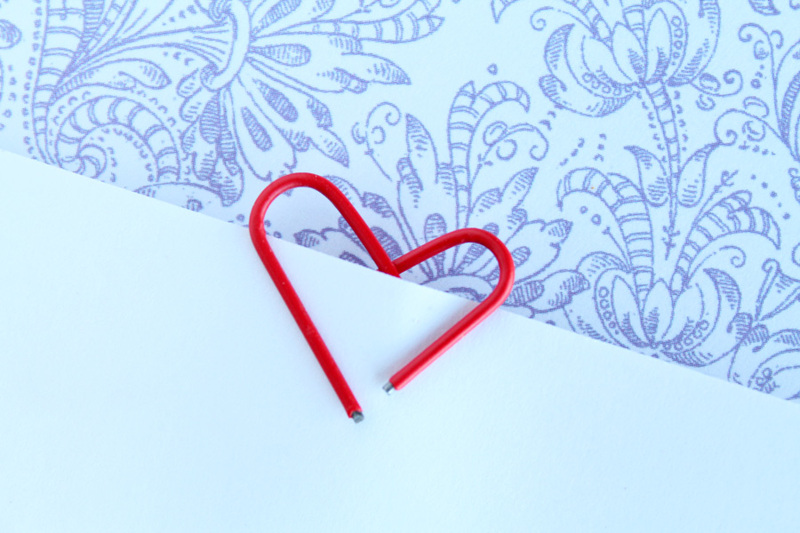 BLOGGER REALITY: But the more and more I saw all the incredibly cute Valentine’s Day projects, the more I desired to create something to celebrate this day of love! 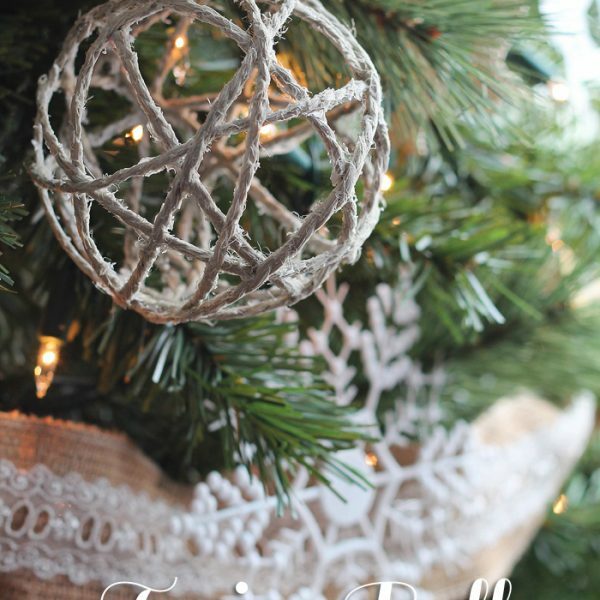 I was suddenly knee-deep in red twine and doilies and pink paper and glitter! Even when we’re uninspired, we don’t have to look far to spark our creativity. 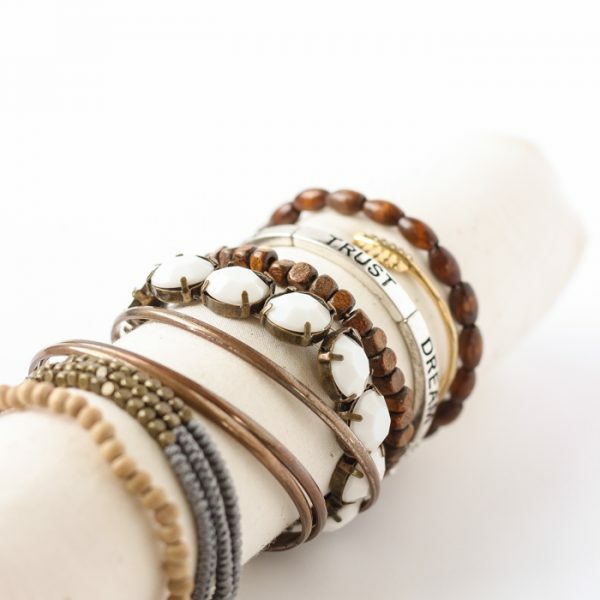 And you know I love sharing inspiration with you! So instead of decorating the whole house with hearts and Cupid, I gave a simple update to a project I made before Christmas. Do you remember my Ribbon Wreath? 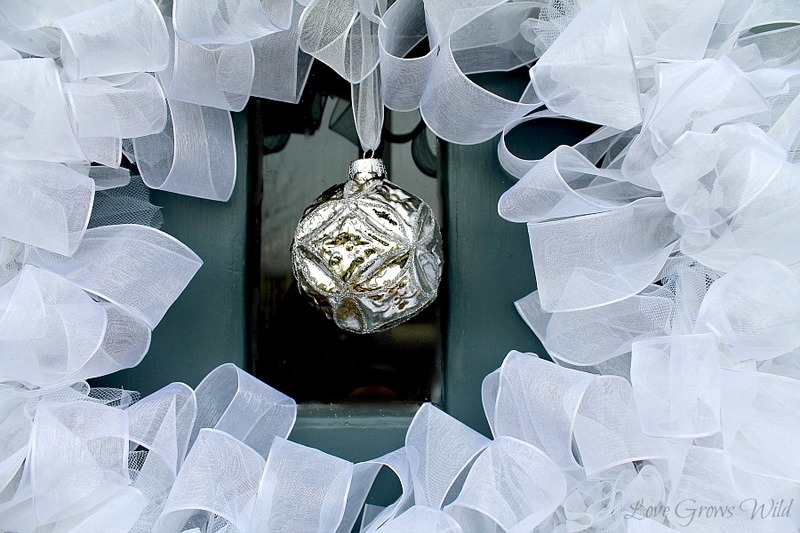 I created this fluffy, white ribbon wreath and decorated it for Christmas with a silver ornament hanging in the center. After Christmas, I took the ornament off the wreath and tried to brainstorm how I would dress the wreath up next…. A Valentine’s Day ribbon wreath! 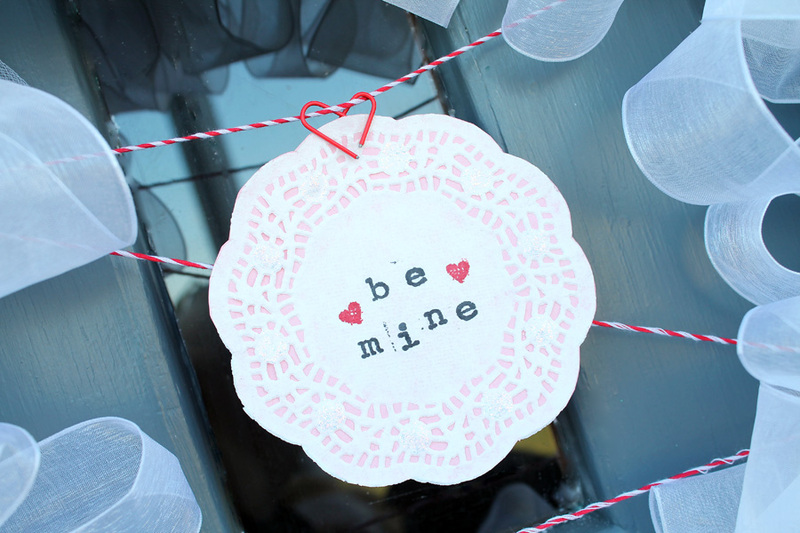 I simply glued pink paper behind a doily and used my letter stamps to add “Be Mine” to the center. 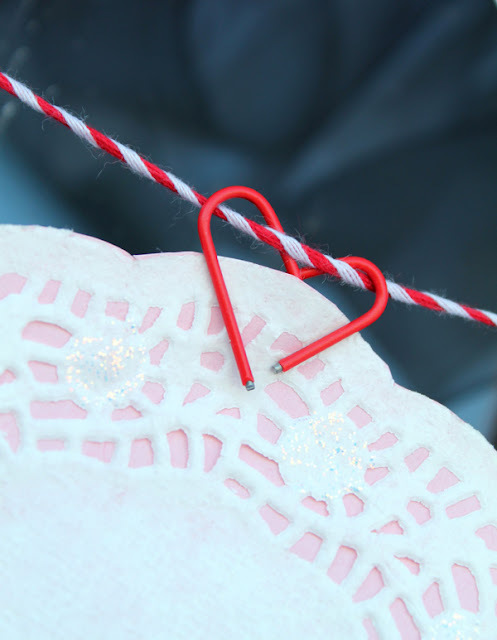 For a cute little touch, I bent a small, red paper clip into a heart shape to attach the doily to the wreath. Just one bend in the paper clip, and now you have an adorable little addition to your love notes! 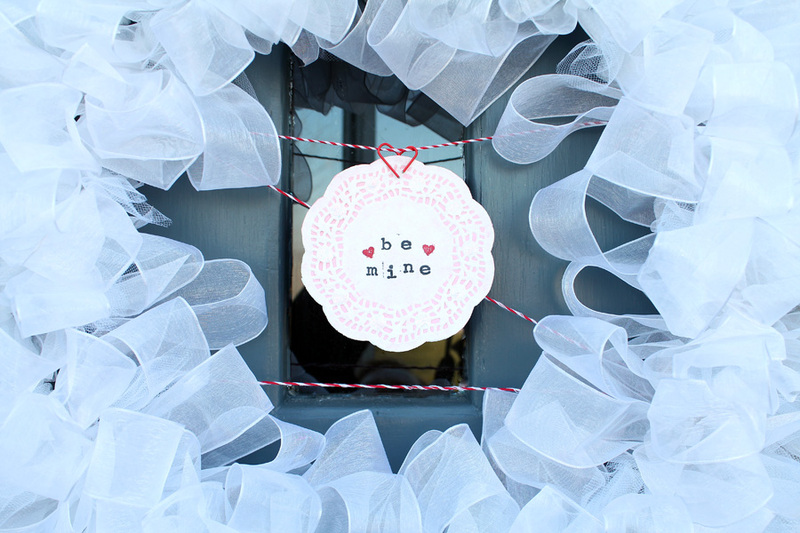 It was super easy to add my little Valentine’s craft to the wreath… I just flipped the wreath over, tied red baker’s twine to the wire wreath form, and clipped my doily on the twine. Do YOU decorate for Valentine’s Day? A lot or a little? I’d love to hear from you! To view the tutorial for my Ribbon Wreath, click here! I still have some Christmas stuff up… I should get to that hehehe Oh well!! Exactly how I feel about Valentine’s decorating! 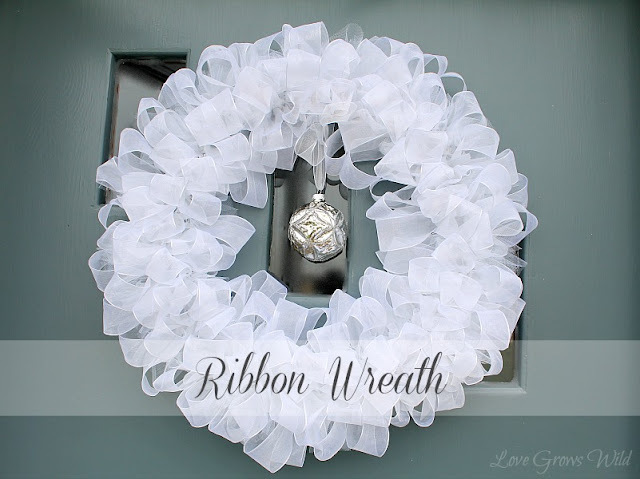 Love your ribbon wreath, and how easy it is to change it up. I totally relate to your blogger confessions! What a pretty wreath. 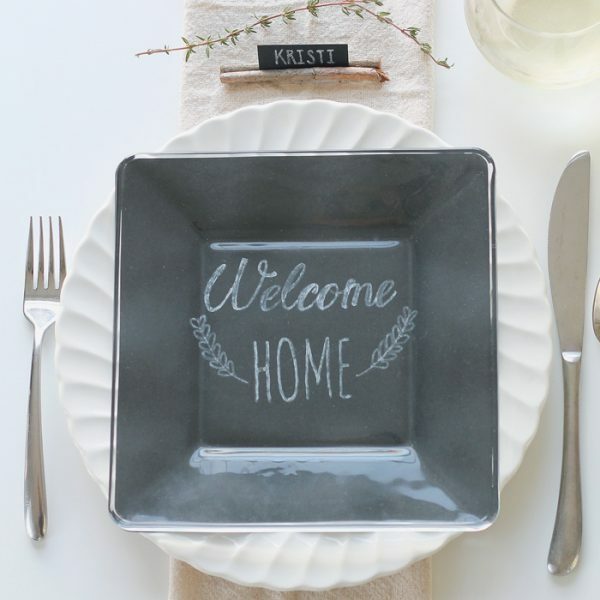 I love crafts I can update for different season! Sorry if you get 2 of these comments…I have no idea what my computer just did! I can totally relate to your blogger confessions! 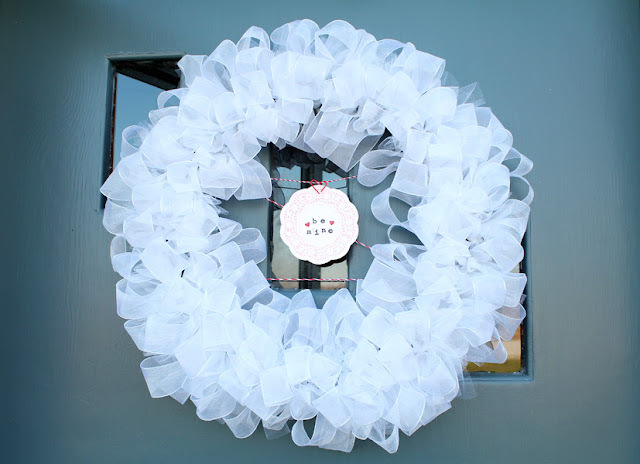 This wreath is so pretty…I love how you updated – my kind of craft! Such a beautiful wreath! I can never stand the emptiness of my house after I take the Christmas down so I love getting the Valentine’s decor right up. Very cute! I love the little doily and paper clip, it would make very cute bunting! What a great idea! So simple but sweet 😉 I’ll have to do something like that for this Valentine’s Day too. Have a great week! I hear ya girl! I still have a few boxes to put away!! 😉 Love the transformation though and the paper clip is a perfect touch!! Yeah, I didn’t really want to put up any valentine’s stuff this year. But then I was digging through the box looking for a photo prop and I did pull out 3 little vases with felt roses and one small heart wreath…but that’s it! 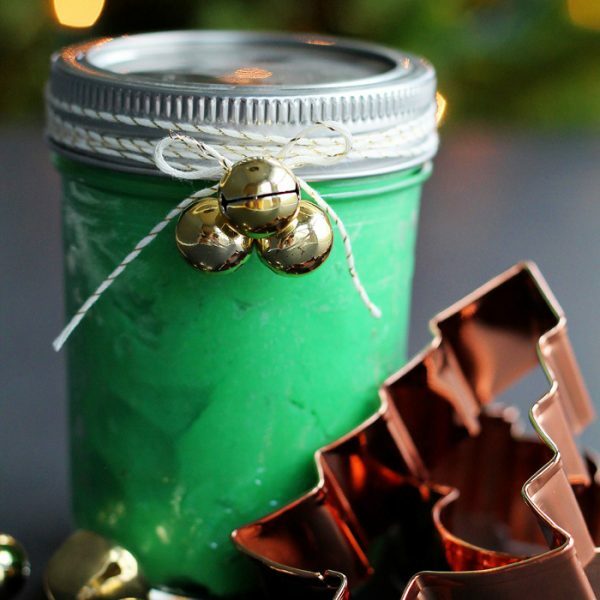 No crazy decorating going on here. 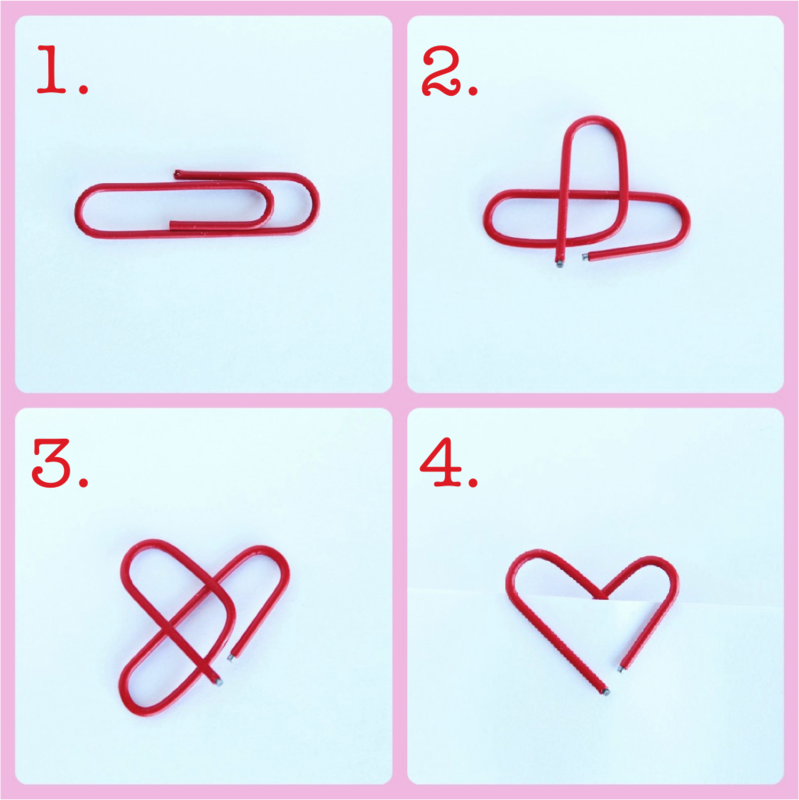 I love that you bent the paperclips to look like hearts!!! Adorable! oooo that ribbon wreath is beautiful! I love that its white too, you can change it up for many holidays! That is so creative and so lovely!! that paperclip trick is so so great! definitely pinning. I hope you will add this and any other posts you’re proud of to my link party! 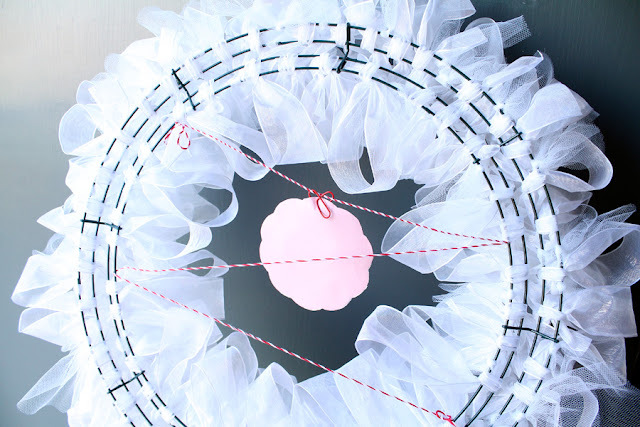 Such a pretty wreath — looks perfectly Valentiney with the doily sentiment in the middle. Thanks so much for linking on Busy Monday! !